The WAM Files exhibit features a series of exhibition posters from the 1960s that can all be attributed to the same artist/designer. 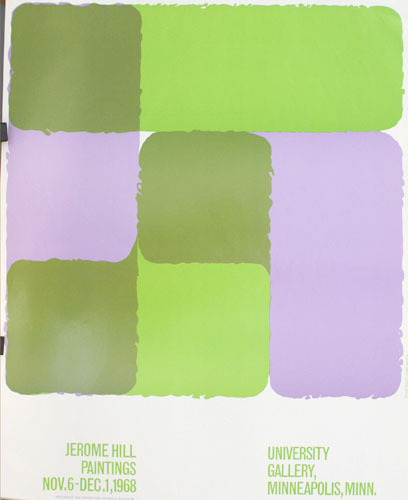 The name “Robert Clark Nelson” is found in small type on the edges and corners of several posters created to promote University Gallery exhibitions throughout the decade. 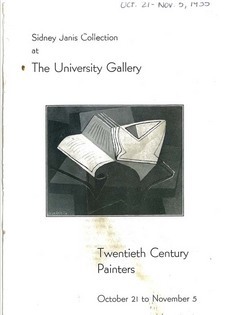 A Departmental Budget Record that represents Printing Requisitions for the University Gallery indicates that 2200 posters were printed to promote the Motherwell exhibit. 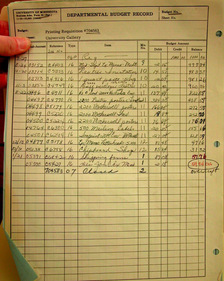 The line item for 500 mailing labels found on the budget record, along with the fact that many of the posters kept from that era have folds and small tears (and some also include mailing labels on the back), are clues that lead us to believe that exhibition posters were created to serve as mailed exhibition announcements. 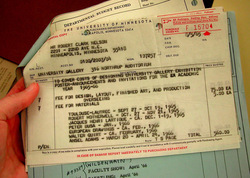 Thanks to the digitization efforts of the library unit of another institution of higher education, more information is gleaned about Robert Clark Nelson – the designer behind the name. 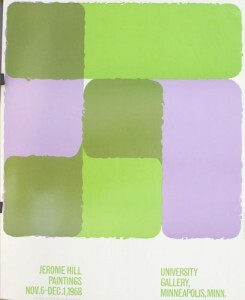 In the September 28, 1966 edition (Volume XLI-No. 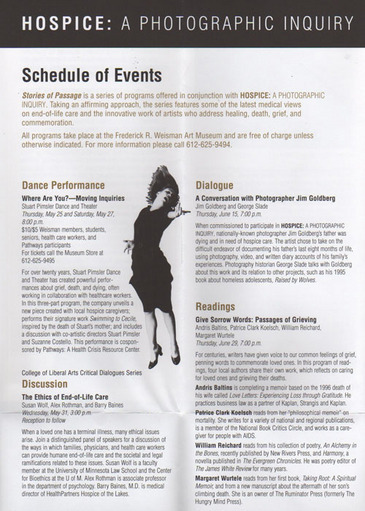 2) of the Clarion, the student newspaper of Bethel University in St. Paul, MN, an article titled, “Professor Receives Top Award In Walker Art Center Exhibition,” reveals that Nelson was a professor at Bethel. 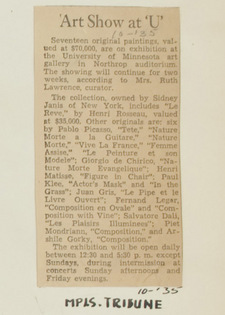 The article includes a portrait of Nelson and reported that he was one of top three award winners in the Walker Art Center biennial of painting and sculpture in 1966.